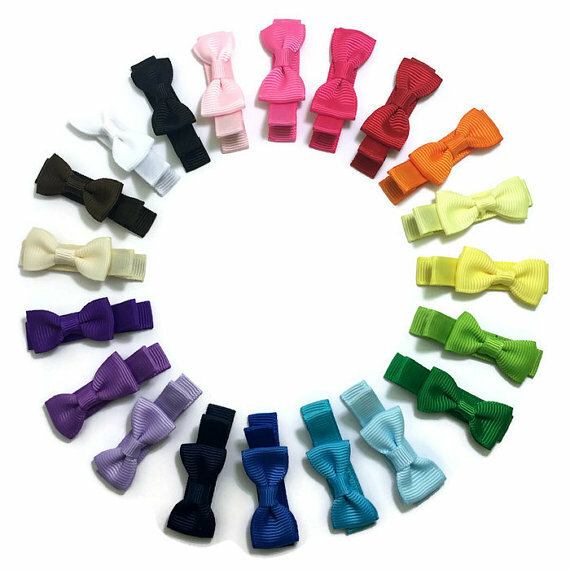 You will receive your choice of mini bow tie handmade hair bows. 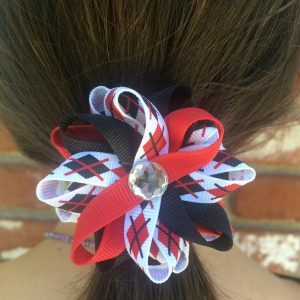 I created these bows with ribbon in your choice of colors. These bows measures approx. 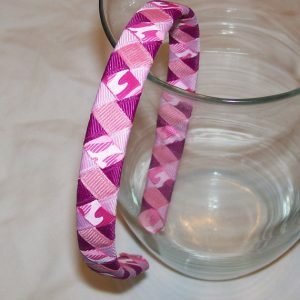 1.25 inches and are attached to lined 1.75 inch alligator clips with no slip grip. 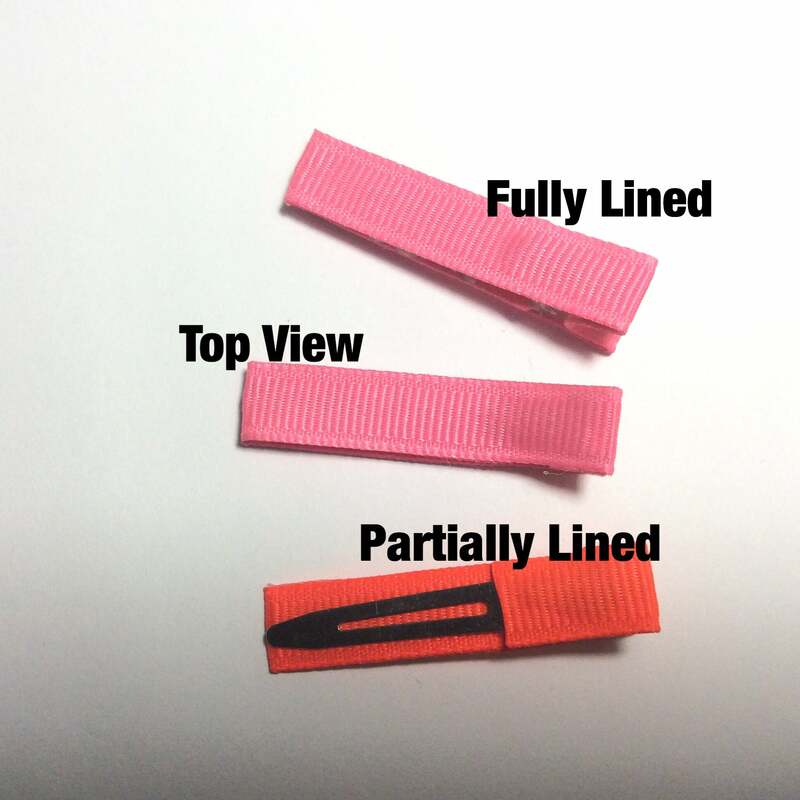 I heat seal the ribbon ends to prevent them from fraying. 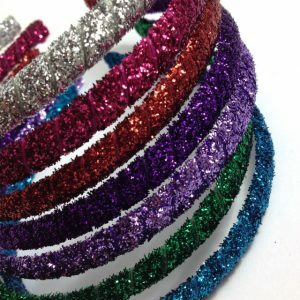 Please include color selections with your order, if color selections are not included I will send a random mix of colors.